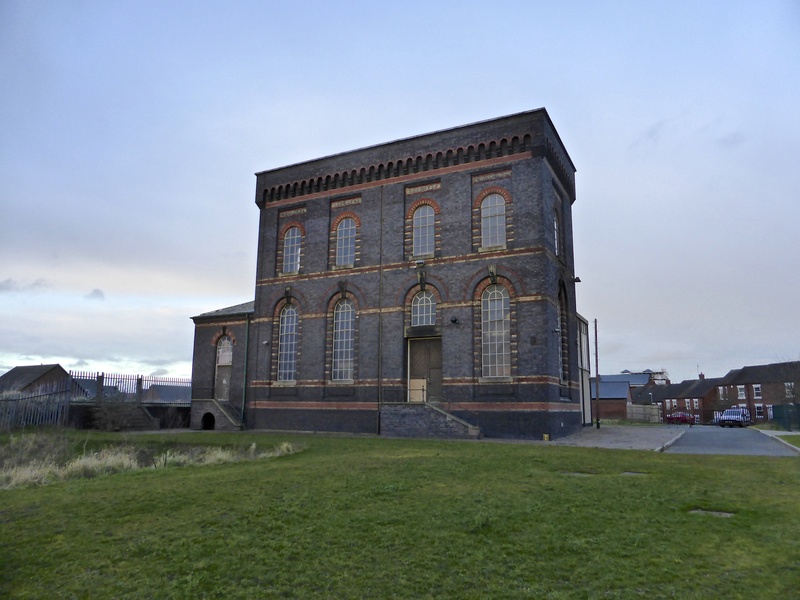 Sandfields Pumping Station – a great historic building with immense history and social significance – not just to Lichfield, but to the Black Country. Lichfield Discovered and local historian Dave Moore have saved this valuable asset for the community. Sandfields Pumping Station champion and public historian extraordinaire Dave Moore has been in touch to let me know that this Monday evening (13th August 2018) there will be the August 2018 Public Meeting of the Lichfield Waterworks Trust charity, formerly the Friends of Sandfields Pumping Station group – and there will be a rather wonderful guest speaker. The meeting is at the Bowling Green pub, Lichfield from 7:30pm and is of course open to anyone interested. The Bowling Green serves some great food and real ales. This is an incredibly exciting community heritage project, so do come along and become involved, we make everyone welcome. We are pleased to announce that railway historian Ian Pell will be back with us to tell us all about the connection between the South Staffs Railway and coal, together with the importance of Norton Junction within this equation. The talk contains some details and photos of most of the connected collieries which used Angelsea Sidings and Norton Junction. We are really pleased to report that there have been no incidents relating to health and safety. A very big thank you to everyone for working safely. Progress notes from the engineering team are available here. We would like this opportunity to welcome a few new members. Thank you for joining the Lichfield Waterworks Trust. We hope you will enjoy your membership and become part of a very exciting heritage project that will benefit the people, the place and the community. It would really help us if we develop and grow our membership. If you are not already a member and would you like to be a part of one of the region’s most exciting heritage projects then please, join us now by filling in Membership Application Form by going to our membership page here. It is free to join and be a part of this incredibly exciting project. We have incurred some considerable expenditure covering legal costs, insurance and training. We will always invest in our people, and we are planning further training days soon too. All these costs soon mount up, so if you can donate, then please visit our donation page here, any amount is helpful and well appreciated. Thank you everyone for your continued support and helping to make a difference in our community. Do pop over to Dave Moore’s blog and check out the history of Sandfields Pumping Station, an almost forgotten gem – the group also has a Facebook page. Dave is, of course, one of the leading lights of Lichfield Discovered, along with Kate ‘Cardigan’ Gomez from Lichfield Lore. It’s great to see people like Dave encourage a better attitude to our historic buildings -please do attend if you’re able, it’s sure to be enlightening and educational. This entry was posted in Environment, Events, Followups, Fun stuff to see and do, Interesting photos, Just plain daft, Local Blogs, Local History, Local media, News, Reader enquiries, Shared media, Shared memories, Social Media, Spotted whilst browsing the web and tagged 13 August, 2018, Architecture, at risk, Black Country, buildings, Dave, David, Discovered, event, Events, Facebook, free, heritage, Ian Pell, Kate Gomez, lecture, Lichfield, Lichfield Discovered, Lichfield Waterworks Trust, local blogs, Local History, Lore, meeting, Moore, pub, Sandfields, Staffordshire, Talk, Things to do, Thursday. Bookmark the permalink.